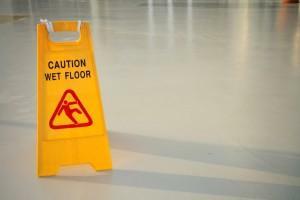 You might at first think that a slip and fall injuries could not ever be that serious. Shouldn’t you just get up and brush yourself off? Shouldn’t you just let the embarrassing matter drop? Absolutely not. The truth is that slip and fall accident can result in extremely serious injuries, chronic health problems, and even death – from a fall down a dangerous flight of stairs to a fall off a balcony with a rickety handrail. These injuries can be painful, long lasting, and expensive. At Van Sant Law, we are here to help you secure the compensation you deserve, including benefits to cover hospitalization, medical costs, pain, suffering, emotional trauma, home care, rehabilitation, and lost income. Don’t write your slip and fall off as an embarrassing incident that you want to forget about. If someone else was at fault for your injury, you have the right and the social responsibility to seek justice by filing a Georgia premises liability lawsuit. But Wasn’t It My Fault That I Fell? Far too many people assume that they were at fault for their slip and fall injury. They might say, “Well, no one else directly caused it,” or, “I must just be a klutz!” But the truth is that if your slip and fall was caused by the negligence of the property owner, they may be wholly or partially at fault. Property owners are obligated to maintain their premises and prevent hazards that can cause accidents. This includes fixing pavement cracks or holes, repairing uneven surfaces, providing sufficient lighting, and keeping walkways clear. Landowners that do not take care of their property can be held responsible if any accidents occur that were caused by their negligent actions. Was your injury and accident caused by a hazard on the property that you were on? Did the property owner know about the hazard that caused your injury? Should he or she have known? Did the property owner or any of his or her employees do anything to fix it? At Van Sant Law, we can help you answer those questions and get to the bottom of your case. We can also answer any questions you have regarding personal injury laws and benefits, and we will skillfully guide you through the entire claim process — from reviewing your accident and determining who was at fault for your injuries to preparing a well-documented claim that details the extent of your injuries and their impact on your life. Get answers about your slip and fall injury – get started today by calling (404) 991-5950 or by filling out our contact form.